I just ruined over a thousand rounds of ammo to find out which ammo storage containers really work in harsh environments. A little over a year ago, I sank four ammo containers full of ammunition to the bottom of a muddy pond. 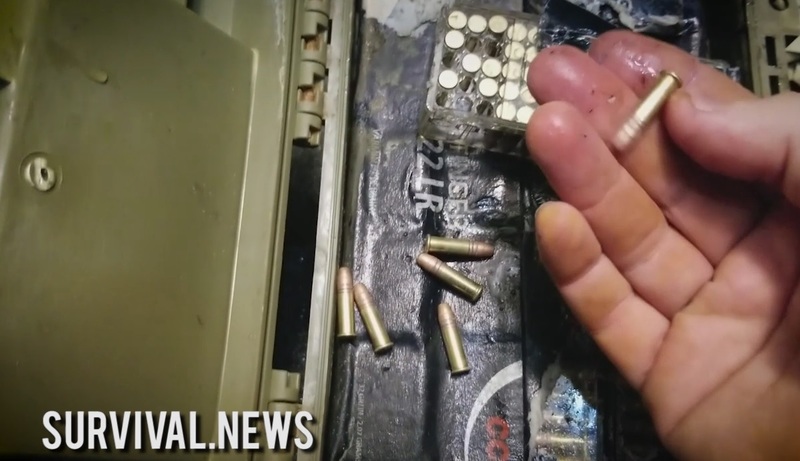 Two of the ammo storage containers were made out of a rugged poly material, and two of the containers were common mil-spec steel cans used for storing .50 ammo or .30 ammo. All of the containers had rubber gaskets. After one year, I dragged the four ammo cans out of the pond. I opened two off camera before filming then, then I opened the other two on camera for you to see what happened. The results of this experiment will leave you totally shocked. Do steel ammo cans really keep ammo dry? Are poly material containers better? Do rubber gaskets really hold up under water pressure? Which ammo cans will keep your ammo dry in a hurricane or flood? Find out the surprising answer by watching my video. Stay informed about preparedness and survival strategies at Preparedness.news or Survival.news.